Ionic 2, the latest version of Ionic Mobile SDK, is built on the top of latest technologies such as Angular 2, TypeScript, SASS, and lot more. The idea behind Ionic 2 is to make the entire app development process even more fun. 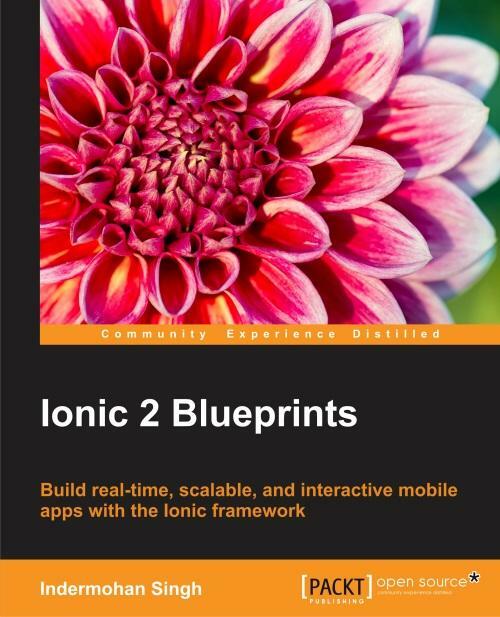 This book makes it possible to build fun and engaging apps using Ionic 2. You will learn how to use various Ionic components, integrate external services, derive capabilities, and most importantly how to make professional apps with Ionic 2. It will help you in understanding the fundamentals of Ionic 2 app development and will show how to build applications, gradually increasing your capabilities and the complexity of applications so that you can learn Ionic app development in a consistent and convenient way. You will also explore services such as Firebase, using LocalStorage, the WordPress JSON API, and REST API, which will help you turn your next billion dollar idea into reality. By the end of this book, you will be able to proudly call yourself a pro Ionic developer who can create a host of different apps with Ionic, and you’ll have a deeper practical understanding of Ionic. He also gave a talk on Ionic 2 at the Mobile App Europe Conference, Berlin, last year. He frequently teaches about mobile development, AngularJS, and Ionic at Codementor, where he is a featured expert on Ionic. He was also invited by his alma mater to teach programming as a guest lecturer. Apart from coding, Indermohan is very interested in music. When he is not coding, he is composing a new song. He sometimes posts his songs on SoundCloud ( http://soundcloud.com/indermohan-singh-2/stats). He is also the creator of an Indian Classical Music Search Engine for Ragas named Ragakosh. For his idea of a search engine, he was select by MIT Media Lab for the Entrepreneurship Bootcamp 2015. He was also a technical reviewer of Learning Ionic, Arvind Ravulavaru, Packt Publishing. You can reach Indermohan via his e-mail at indermohansinghk7@gmail.com. 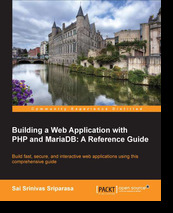 Starting with a quick refresher of the PHP language and MariaDB database, readers will explore concepts such as unit testing, session authentication and management, permissions engine, caching, security, and performance optimization. Iz štampe je izašlo II izdanje knjige. Najnovije tehnologije, CSS3 i HTML 5 u akciji. Što se tiče novih radnih okvira i biblioteka za veb, React je postigao trenutni uspeh.